Oh no, not another tie! Dude, don’t get Dad another tie! He might wear it…only when you are in town or when you mention it. He really dreads having to tie one on for you! It’s Father’s Day, put a bit of thought into the gift for the guy who was always thinking of you! 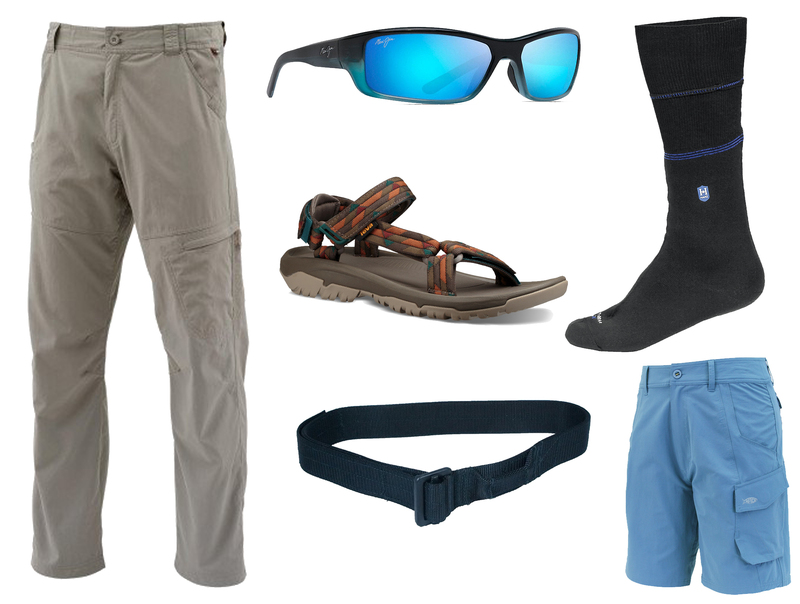 This year, tell Dad to take it outdoors! Another great gift idea is a gift certificate for a bass fishing trip on the Potomac River. No phones, emails, texts or meetings, Dad can bring his buddy or favorite offspring. But, remember, if you give it, Dad will use it, wear it or eat it…make a good choice so he won’t think of you when he’s in line returning it! Topwater time! Walkers and poppers are perfect for clear and calm water with overcast skies! Walk the dog, but don’t stop when fish strike! They’ll come back. For poppers, pop and stop, varying retrieves until a cadence produces. Prop baits are a great post spawn tease! Also try Mann’s Waker over cover. Use follow-up Mann’s 5-inch HardNose Freefall weightless stickworms on 10-pound test GAMMA Edge Fluorocarbon line for missed bites! A steady dose of shallow diving Mann’s Baby 1-Minus crankbaits, in craw and baitfish patterns, work over wood and grass. Mann’s Reel N’ Shad is deadly this time of year. For line, 12-14 pound test Edge on a KVD Quantum cranking rod. Use faster Quantum Vapor reels. Pitch Mizmo tubes on 3/0 Mustad Tube hooks with 14-pound Edge to docks and wood at higher tides, then grass during every tidal phase. Use garlic Jack’s Juice Bait Spray scent. Also try swimming jigs like Mann’s Stone Jigs with a HardNose Reel ‘N’ Shad around cover. Beef up tackle for this. Mann’s Classic ¼ ounce spinnerbaits with white skirts are effective around shallow cover. Try these and chatterbaits close to grass, wood and rock, bumping cover or snapping free from grass. With high water, cloudy skies and some chop with clear water, try a 3/8-ounce double willow spinnerbait with a firetiger skirt. « Is a Will or Trust Right for You?